LIMA — Dalonte Manley, 17, is just starting his senior year at Lima Senior High School. Manley is hoping for a career as a social worker. “I want to get into Howard University and I want to get into the social work field. I just always thought God put me here to help people out, and so why not help people out who are similar to you? My cousin is actually in social work, and just seeing her, how she is, that kind of motivated me,” said Manley. Manley maintains a 4.0 grade point average and was inducted into the National Honor Society his junior year. “I love maintaining my grades. I love school. Everyone thinks I’m kind of weird because how much I love school. The teachers are always willing to help. It’s a really good environment. The teachers are just so helpful. They don’t mind helping you at all. It’s just very welcoming and I’ve learned a lot,” he said. Manley is also involved in DECA. “I love DECA. It opens up many opportunities for you. Like just yesterday, I delivered my president’s speech for class officer and if I win president I get to run for state officer and that’s been my dream since seeing my friend, Precious Lowe, she won state office last year. DECA kind of gets you out of your comfort zone because you’re presenting in front of judges and then it also gets you ready for the real world,” he said. Manley had also been involved in both basketball and football but dropped those sports to turn his attention to his studies. “I’ve been doing it [sports] since I was in second grade, so I just wanted a time just to see what it would be like to be not playing sports and how much more I could get done [academically] and how much focused I’ll be. It turned out I became really more focused,” he said. 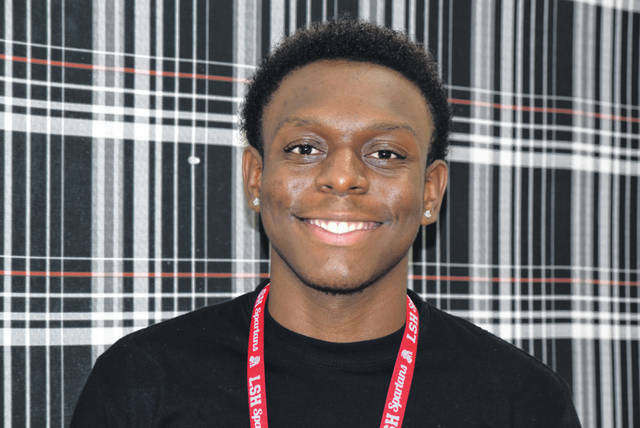 Manley, along with his involvement in DECA, is a member of the Black Student Union. He’s a youth council member on the Ohio Youth-Led Prevention Network. He’s a member of CTAG [Closing the Achievement Gap] and is an office worker at Lima Senior High School. He also works for McDonald’s on North West Street and also works a summer job at Lima UMADAOP’s prevention center.